Alpine Power Plant achieved a major milestone last week when Unit 2 reached full power output. 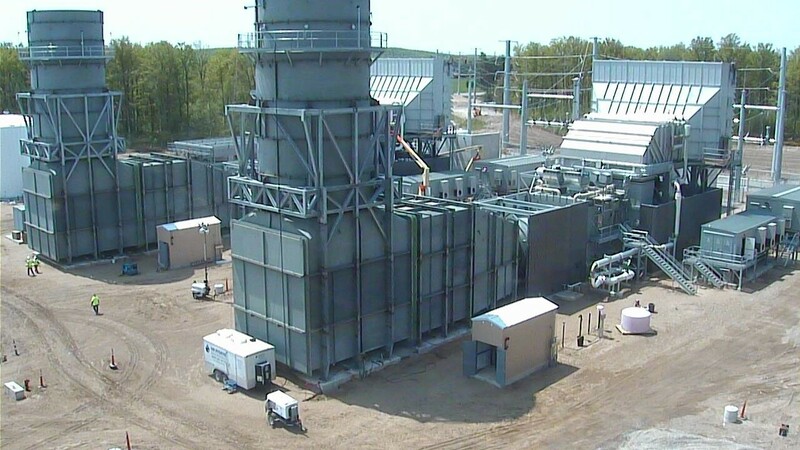 It took about four days after completing the first successful start to work through some issues with wiring and computer settings, but finally, at 6:00 p.m. on Thursday, May 26, Unit 2 powered up to 204 MW on an 82-degree day. According to Brian Bejcek, Alpine’s Project Manager, this means that Alpine’s Unit 2 is putting power onto the grid at 100% of its capability. “We still have final testing and tuning to complete before we are officially in the power market, but that should happen early this month,” stated Bejcek. As far as Unit 1 goes, the team is working to repair a leaking seal in the generator, but anticipate it will be ready to start testing next week as well. In addition to Unit 2 reaching full power output last week, construction on the control building was completed and the Alpine crew moved into the new facility. The Alpine project is nearing the finish line, and is still on schedule to be fully operational by the first of July.